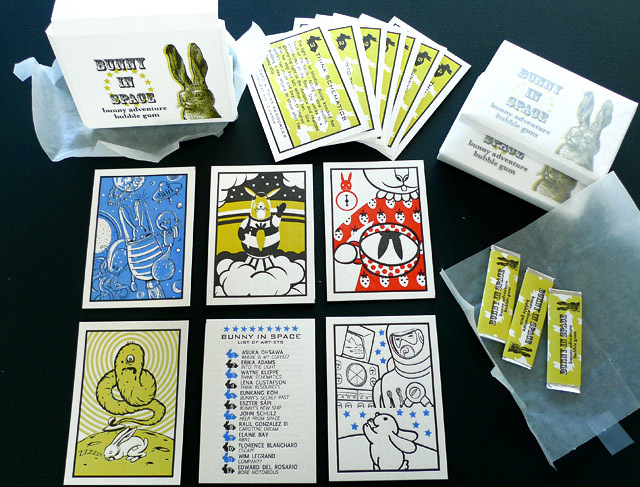 I’ve just received a package with the work I did for Asuka Ohsawa‘s letter press trading cards collaborative project: Bunny In Space. 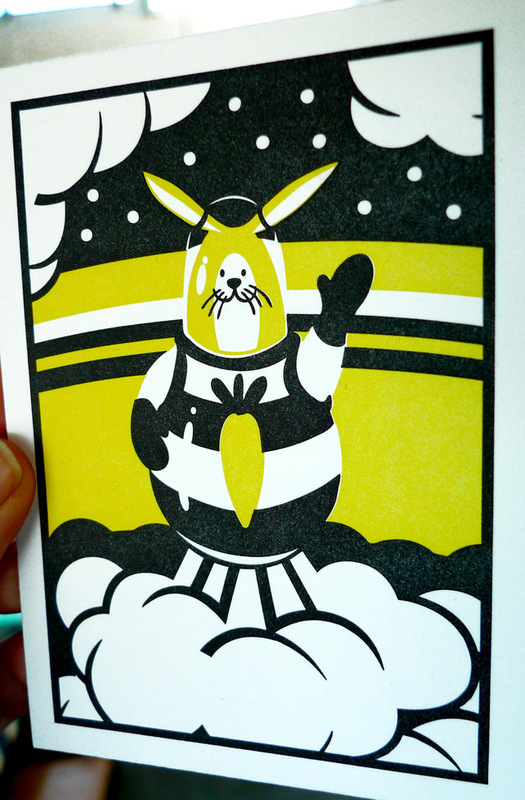 Brooklyn based Asuka invited international artists to design each card (4.5 X 3.25 in. 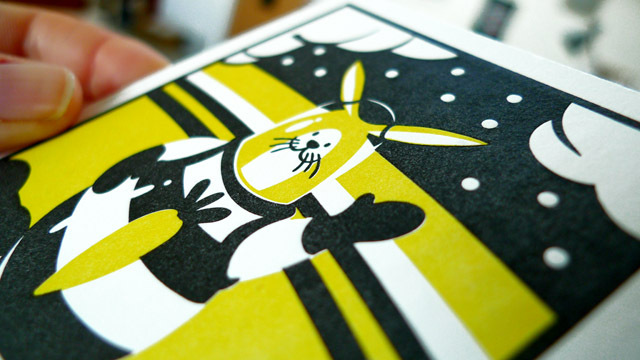 ), and the card narratives were constructed in the manner of Exquisite Corpse. 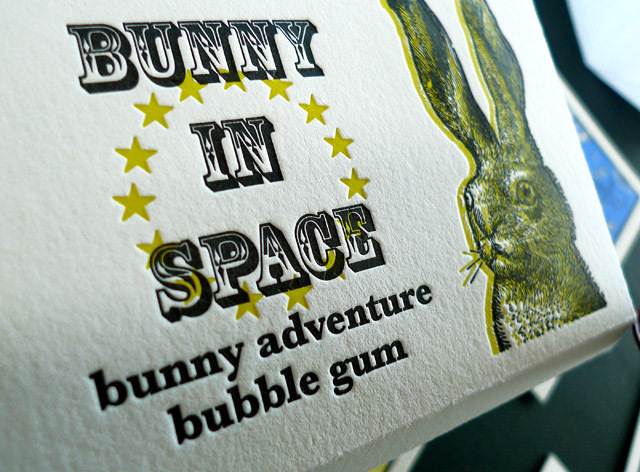 The original images and texts were hand-printed via letterpress from polymer plates on 2-ply museum board by Asuka. 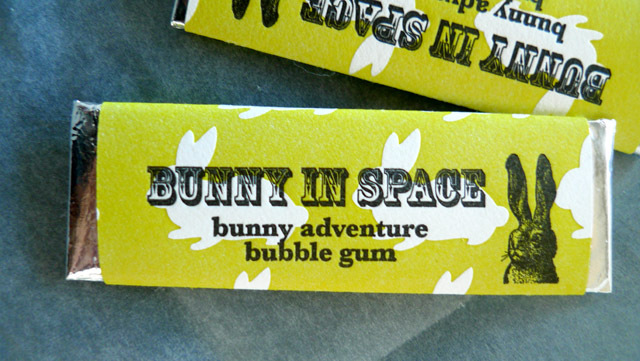 Each set comes with its own cool hand-folded paper case and homemade bubble gum. 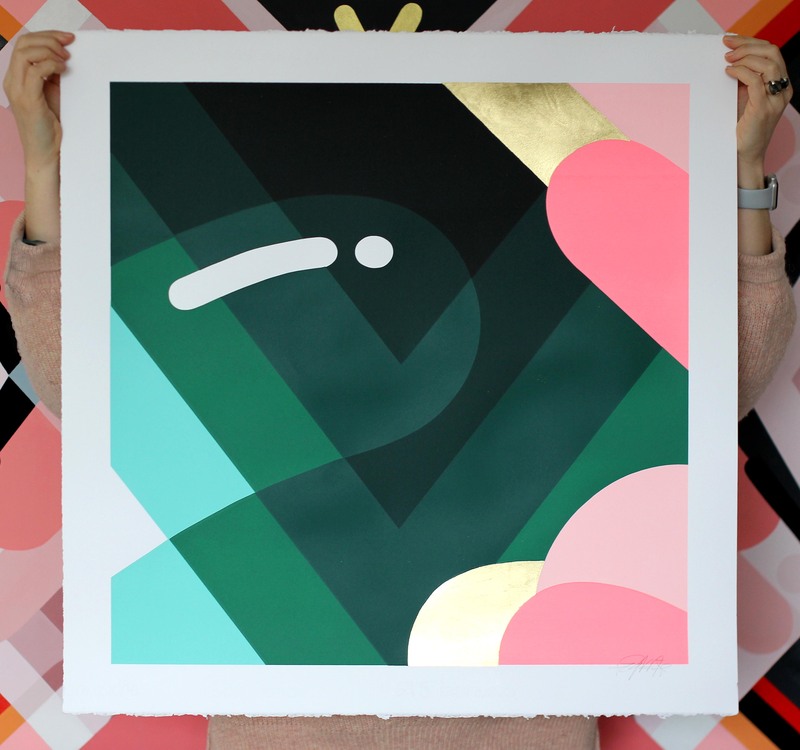 All this in a super limited edition of 40. How nice is that? The show will be up until June 29th.